Tammy’s career began in 1989 when she began helping teens make changes that last a lifetime. In 1996 she moved to Arizona where she was integral team member in founding and opening her first successful Therapeutic Boarding School. Then in 1998 she realized her own dream by founding a nationally recognized Girls Therapeutic Boarding School in Lake Montezuma, Arizona. She is also the founder of a Ashcreek Ranch Academy in in Southern Utah – a successful Residential Treatment Center for boys. 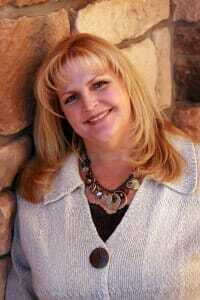 Tammy has served as a member of the school board for the local private school her girls attended. Nothing motivates Tammy more than being a part of young people turning their lives around and helping families reunite and heal. Fotu is a talented clinician who brings a great spirit of collaboration, innovation and Clinical Sophistication to both academies. Fotu has extensive experience in providing therapy to adolescents, families and couples as well as training staff and developing effective programming. 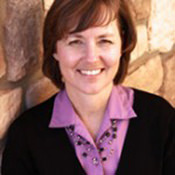 Before joining Ashcreek and Sedona, Fotu has worked in positions including, but not limited, as an Executive Director, Clinical Director, Clinical supervisor, Clinical consultant, adjunct professor and board member for various non-profits. Fotu’s clinical expertise, education and unique cultural background has allowed him to develop programs designed to quickly identify systemic dis-functions within all systems, identify strengths and creatively implement solutions that are specific to each system. He expertly weaves differing modalities together with creativity and fun, which allow our students, families and staff to re-establish healthier relationships across systems. Ray received his Master of Social Work Degree and his Bachelor of Science in Psychology Degree from Brigham Young University. His is a Licensed Clinical Social Worker. While working towards his bachelor’s degree in Psychology he took an internship at the Utah County Juvenile Detention center, Slate Canyon. This was the beginning of his professional path towards helping wayward teens. Over the next few years he worked as a direct care staff at various programs and his University rugby coach convinced him to become a full-time therapist. Ray loves being active, so he uses an experiential client centered, systems approach to therapy. He combines this with CBT, Motivational Interviewing, and mindfulness techniques. Ray is also a Crossfit® Level 1 Coach and is working towards a second master’s degree in Sports Performance and Conditioning. He specializes in experiential therapy and finds innovative ways to combine physical fitness with therapeutic approaches. Ray moved to America from New Zealand in 2008 to play rugby for BYU (National Champions 09,12,13,14,15). He and his wife Cara enjoy being outdoors, eating pizza, and seeing new places. They try to get back to Cara’s home state of Alaska as much as possible to visit her family, have outdoor adventures, and fishing. Dan received his Master of Social Work Degree and his Bachelor of Science Degree in Sociology at Brigham Young University. He then became a Licensed Clinical Social Worker. After graduate school he spent five years working as a therapist at the Utah State Prison, working with inmates in maximum security. 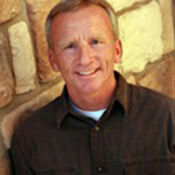 Dan moved to Southern Utah in 2001and began working with adolescents in residential treatment. Since moving to St. George Dan has worked with adolescents in both residential treatment, wilderness therapy, and outpatient settings. He specializes in mood disorders, self-esteem, addiction, and anger management issues. As a youth Dan lived in American Samoa with his family for almost 10 years. When he’s not at work, Dan enjoys spending time with his wife and 5 boys, playing the ukulele, eating good food, and working on his tennis game. Darren’s career in behavioral health began in 1998 when he accepted a position as Admissions Director and part owner of a successful nationally recognized therapeutic boarding school. Darren was raised on a small farm in Southern Utah, and graduated from the local high school as a leading athlete in Football, Wrestling, Baseball and Track. He began his professional career in 1989 as an X-Ray Technician for the U.S. Army Reserve, was called to active duty and served in the Gulf War, stationed in Germany. After the war, he spent two years in the Philippines as a missionary for his church, and returned home to receive training in sales and marketing working in the wireless and computer technology fields. Darren loves to spend his free time coaching his son in football, basketball and wrestling. He also coaches wrestling and football at the local middle and high schools. He has also spent numerous years serving as a scoutmaster and a leader over young men in his church. Darren is completing his communications degree at Dixie State University. Darren and his beautiful wife, Angie, are the proud parents of six wonderful children. Darren is a warm and caring person, who loves being instrumental in making a difference in the lives of youth. Boyd has a Master’s degree in Education, an administrative endorsement, and his bachelor’s degree in Mathematics and Physical Education from Southern Utah University. Boyd began his teaching career in 1991 and has extensive experience in teaching mathematics and coaching athletics at both the high school and middle school levels. Boyd was also a high school athletic director. He has also developed curriculum at both the school and district levels. As the principal at Ashcreek Academy, Boyd fosters a welcoming learning environment, where students can build confidence in their educational skills and achieve the best outcomes. He encourages his teachers and staff to develop a strong rapport with students and their family to encourage a lifelong commitment to learning. Boyd loves being physically active, running, biking and playing all sports. He ran cross country, indoor and outdoor track for Utah State University where he set school and PAC records. He coaches track and football for the local high school and his teams have numerous Utah High School region and state championships. Boyd and his wife have six children. Phil received his Master’s in Social Work from Arizona State University and his Bachelor of Science in Psychology degree from Brigham Young University. Phil is a Licensed Clinical Social Worker. He began working in wilderness therapy programs and residential treatment centers in 2006. Phil is an Equine Assisted Psychotherapy (EAP). Most recently he has spent the last few years working with adolescents as an outdoor wilderness therapist. Phil believes the most affective approach with adolescents is using mindfulness therapy in conjunction with physical activities and exercise. 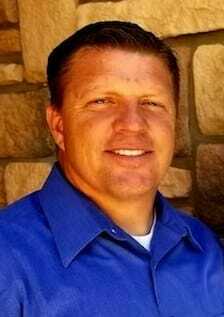 Phil is native to Utah and grew up ranching with my family in central Utah. He is married with four children. Phil spends part of his time training to be an American Ninja Warrior and qualified for the regional competition. In his free time, he especially enjoys spending time with his family, exercising, reading, playing his drums, or engaging in any outdoor activity. 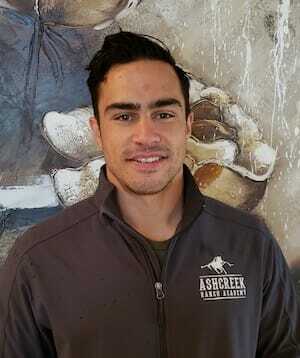 He also likes horsemanship and working at his family’s ranch. Russell began his career in teen behavioral health in 2012. 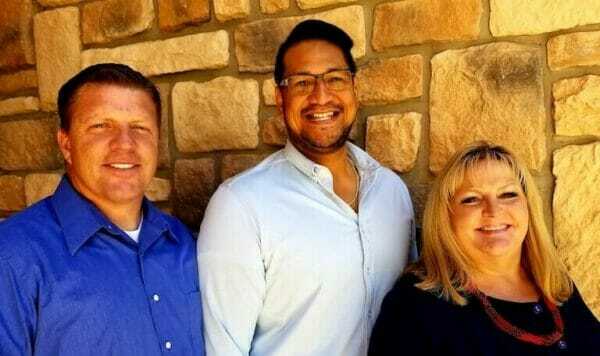 Prior to that he has spent over 10 years in a voluntary counseling capacity working with professional counselors at LDS Family Services in Phoenix and Flagstaff Arizona. This work required a wide array of interventions with adults and teens which included family relations, marriage, finance, depression and identity/self worth counseling. Russell graduated from DeVry Institute of Technology in Phoenix Arizona where he received his Bachelors of Science degree in Computer Information Systems. He spent 24 years working in the healthcare industry specializing in third party administration, health care provider networking, insurance payouts and pharmacy perscription distribution. Russell was born and raised in Southern Utah and Southern Nevada. Following graduation from high school, he went on to an apprenticeship in a family owned masonry business. Russell left for a short time to serve a mission for his church in Ireland, and upon his return he became a partner in the family masonry business. In 1984 Russell and his wife decided to make a career change. With their two children, they moved to Phoenix Arizona and enrolled at DeVry Institute of Technology. On graduation Russell was hired by a healthcare company to work in their in their IT department. He held various positions and upon his departure was the Director of Product Development. Russell has spent most of his non-professional life working with young people in many capacities, ranging from Boy Scouts to coaching Little League sports and club baseball teams. 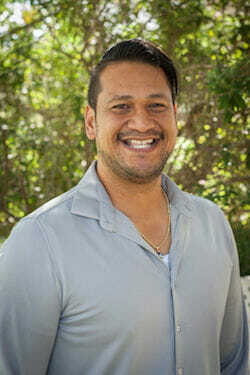 Russell found that assisting people and helping them overcome personal challenges to be a very rewarding experience. He and his wife were fortunate to know the Prince family and team up with them to have the opportunity to make a positive difference in the lives of young people. Russell and his wife Tina have five children (4 boys 1 girl) and seven grandchildren (6 boys 1 girl). We know boys. 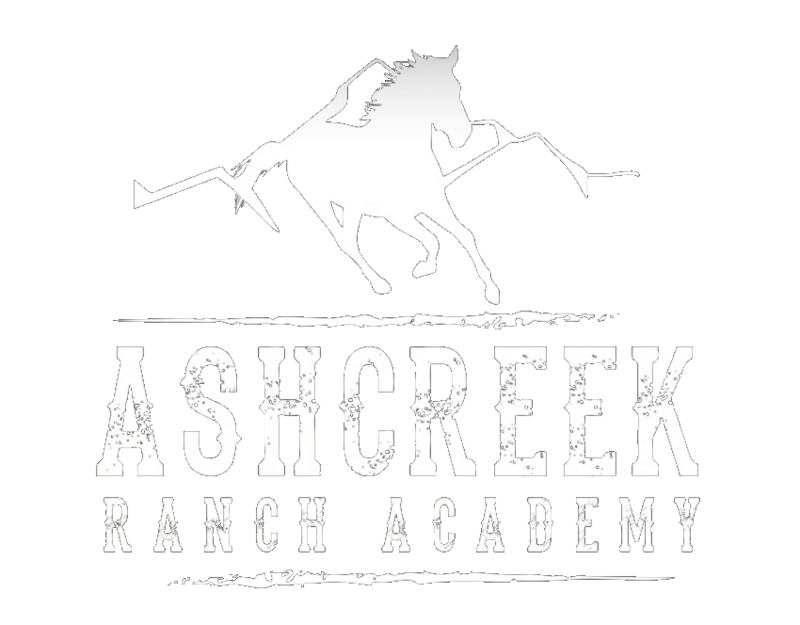 Tina has been an integral member of the Ash Creek Academy team from the beginning as the Human Resource Director. Tina received her A.B.A. degree at Yavapai College in Northern Arizona. Upon completion of her degree, she worked 11 years for a local accounting firm. Tina also performed tax work for clients of Jackson/Hewitt. 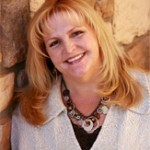 Tina has also worked independently for several clients handling their small business accounting. She also served as City Treasurer for a local municipality. Tina is the mother of 5 children, 4 boys and 1 daughter and 6 grandsons (she love boys!) and a granddaughter.